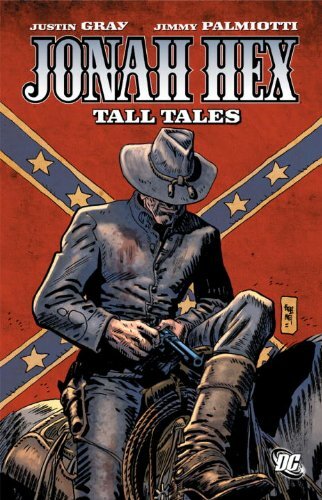 Another Jonah Hex collection, and it’s another perfectly pitched batch of stories of immorality, greed and vengeance from writing collaborators Justin Gray and Jimmy Palmiotti. They’ve maintained a noteworthy consistency throughout the series. Whether setting the dial to massacre or offering a more thoughtful exploration of human frailty it’s been extremely rare that that a Gray and Palmiotti script doesn’t supply a full dose of violent thrills. As in the previous Counting Corpses, there’s the odd occasion when they’re carried away by a strong visual idea and shoehorn it in when a real bounty hunter might tread less elaborately, but that’s all part of the entertainment. This selection is titled Tall Tales after all. 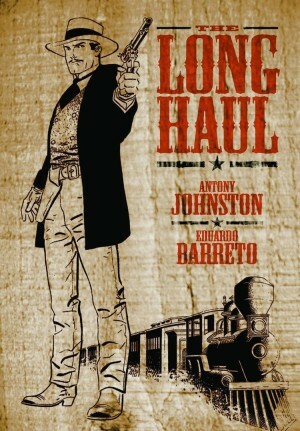 A regular pattern of these graphic novels is how the admirably scruffy cartooning of Jordi Bernet (sample art) contrasts the remaining artwork, and that’s the case again. 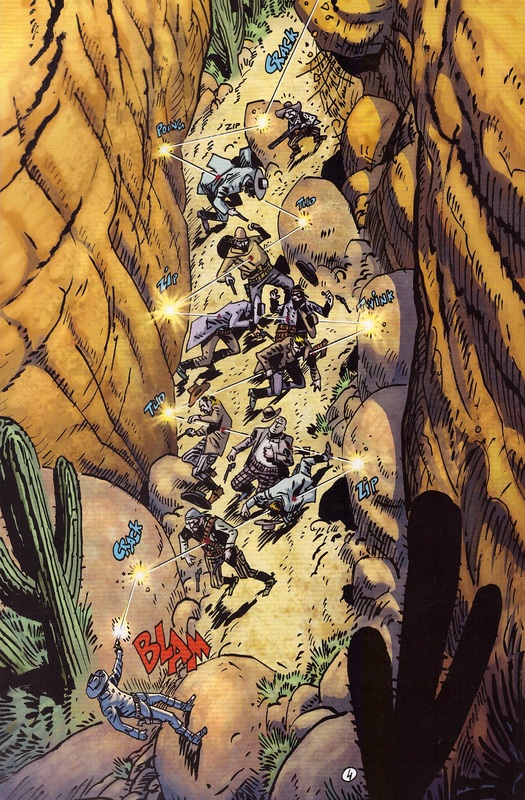 The biggest chasm of styles is with the ornate precision of Phil Winslade, who draws every leaf on every tree and every blade of grass around a campfire, yet also depicts a magnificently gruesome Jonah Hex. His is a brief but poignant tale of greed “I’ve killed men, hung horse thieves, but shooting an old lady? That’s my ticket to eternal damnation”, says one villain, but he’s wrong about that. C. P. Smith, is good also on a brief interlude, this retelling a story seen before in Origins. It seems pointless. Like Tony DeZuniga, seen in Face Full of Violence, Vincente Alcazar illustrated Jonah Hex back in the 1970s, but his work was more variable. Unlike DeZuniga, Alcazar’s talent has more or less survived the decades, and his is one of two tales displaying Jonah’s effect on growing boys. In the first a beast is unleashed, while the second, the title story by Bernet, succeeds in instilling a sort of Stand By Me mythology. 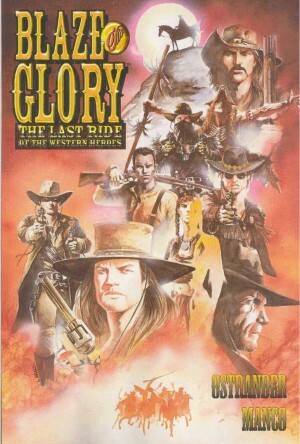 Giancarlo Caracuzzo’s only contribution to the series sees Gray and Palmiotti riff on an idea Will Eisner produced for The Spirit sixty years previously, that of the bullet telling its story. That element is overwritten and doesn’t work, but the plot develops well and surprisingly and Caracuzzo has a fine gritty line to his art. 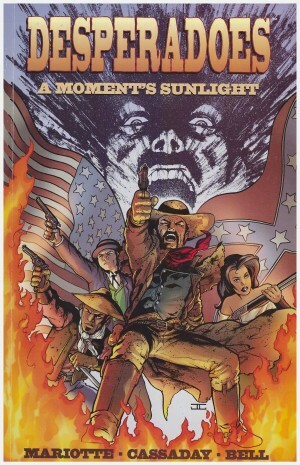 Fellow debutante Brian Stelfreeze is better known for his cover compositions, but he can also tell an atmospheric story, and is given a meaty morsel of three brothers who terrorize a town. 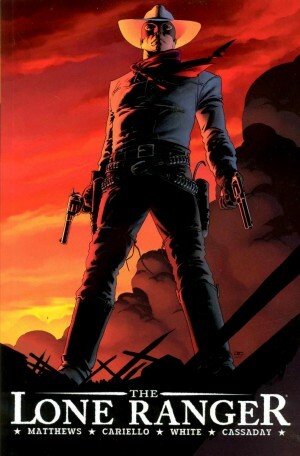 That is until Jonah Hex turns up. It’s not entirely resolved, so while the quality is high enough and sustained that no further inducement should be required for the purchase of the following Bury Me in Hell, perhaps there’ll be a conclusion.